The 2019 Recruiting Automation Trends Report has unveiled this year’s most important trends in recruiting, from the ways in which organizations leverage recruiting automation to the most successful strategies for bolstering diversity and mitigating unconscious bias in hiring. While these numbers tell us a lot about what’s top of mind for recruiters as a whole, the data represents the aggregated experiences and practices of professionals from over 13 different industries. We know that every industry faces unique challenges and the solutions are not one-size-fits-all. That’s why over the next couple weeks we’ll be slicing the data to provide better insight into specific industries, allowing you to benchmark your own metrics more appropriately. 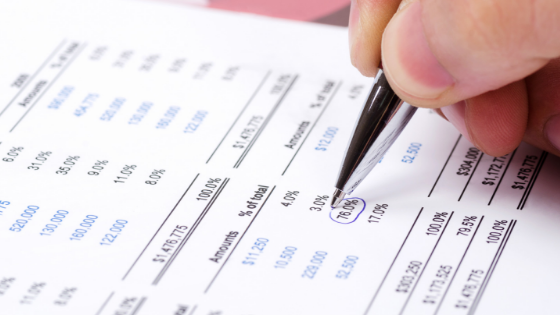 This week, we've tackled financial services. A deep dive into responses from recruiters in the financial services reveals a significant challenge with diversity in hiring. This starts at the organizational level and has instigated a grassroots effort from recruiters to adopt new practices and tools as a solution. At first glance, it may seem that the needle is moving forward for diversity in finance. Over 68% of finance recruiters report that their company has a diversity initiative in place – far exceeding the overall average (57%). However, when asked about these initiatives, 59% believed their companies could be doing more to ensure a fair and unbiased hiring process. By comparison, about 50% of the respondents as a whole agreed with this sentiment. So while financial service companies are amongst the top scoring industries for diversity and inclusion commitments, their respective recruiters have little faith in the impact of these initiatives on the hiring process. Where are things going wrong? 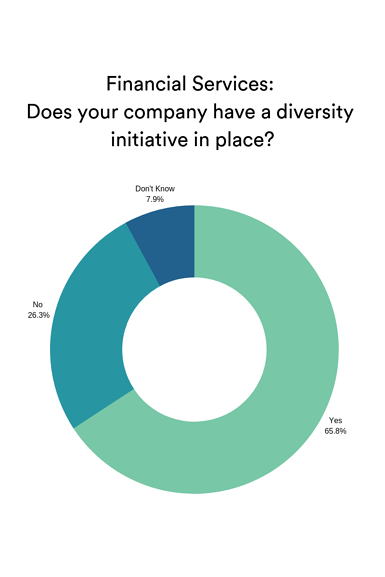 We asked recruiters to identify where in the hiring process the biggest barrier to hiring diverse talent occurs, and overwhelmingly, recruiters in finance pointed to sourcing (52%). Even more interesting, only 25% of those recruiters reported having the necessary tools in place to ensure a fair and unbiased sourcing process. The finding that 80% of recruiters in the financial industry rank employee referrals as an important source of hire is also noteworthy. 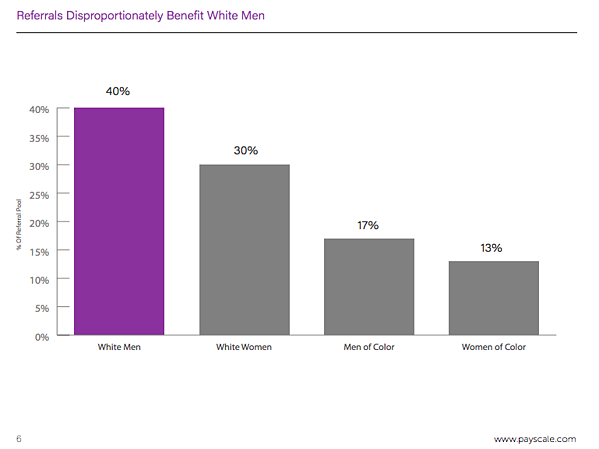 Extensive research has been conducted on the relationship between employee referrals and diversity hiring – most recently, Payscale released a report in which they found that white women are 12 percent less likely; men of color are 26 percent less likely and women of color are 35 percent less likely to receive a referral. Although referrals can a great way to bolster qualified candidate pipeline; it really should be an addition to an overall sourcing strategy that includes multiple channels. The first step towards building a more diverse and inclusive workplace is admitting a problem exists. Given the growing commitments to diversity efforts, it appears that financial organizations understand the issue at hand. However what's more important is that these commitments are met with actions. Identify the biggest obstacles to your diversity initiatives, set up goals and metrics to work towards, and leverage the tools necessary to get you there. Fortunately, 74% of financial recruiters actively recommend technologies to their managers– especially encouraging when those same recruiters have already A) acknowledged a problem exists and B) identified the gap in their tech stack.